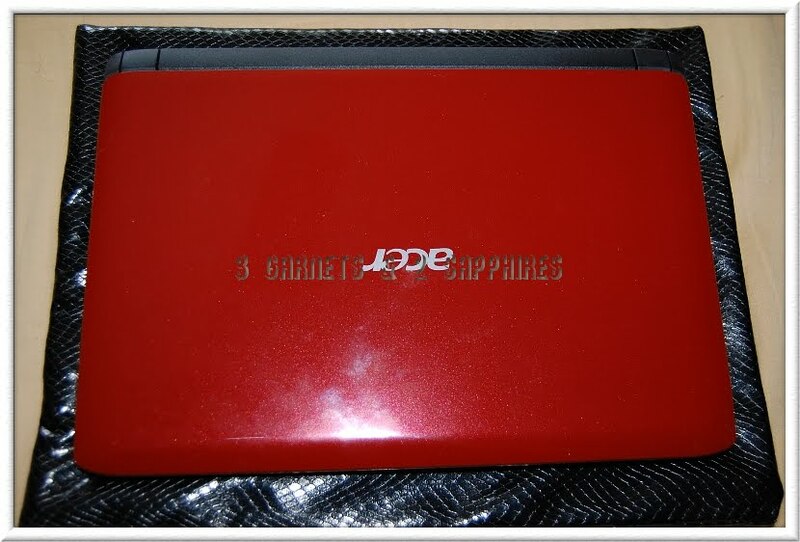 Since I got this shiny red netbook, it has been difficult to keep our little ones' hands off of it. After all, it does look like a kid-sized laptop. So I decided I needed something to keep it free of dust and smudgy fingerprints plus make it appear more off-limits to our children. A Coverbee netbook sleeve seemed like the perfect solution. The selection of smaller laptop sleeves available on Coverbee.com are made for 8.9" and 10.2" netbooks. 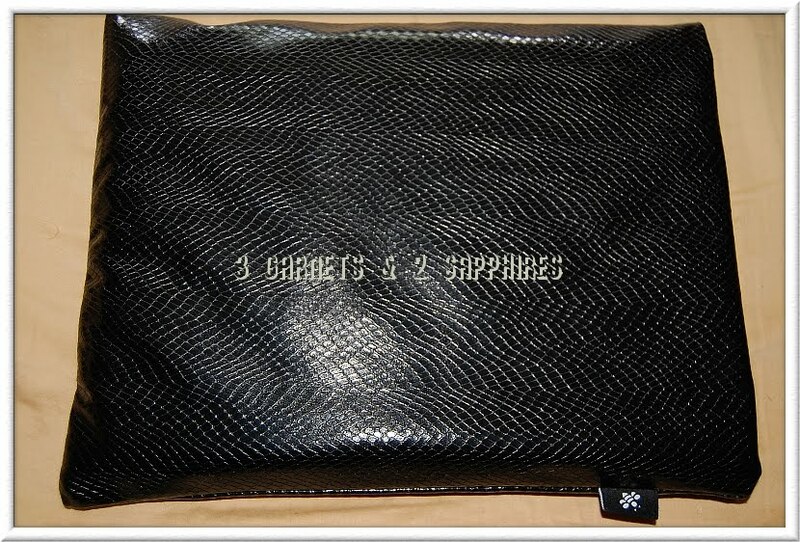 As you can see, my 10.1" computer has a bit of extra room inside this 10.2" Black Boa netbook sleeve. There is actually enough room to slip my charger in there, as well as a notebook or other paperwork. 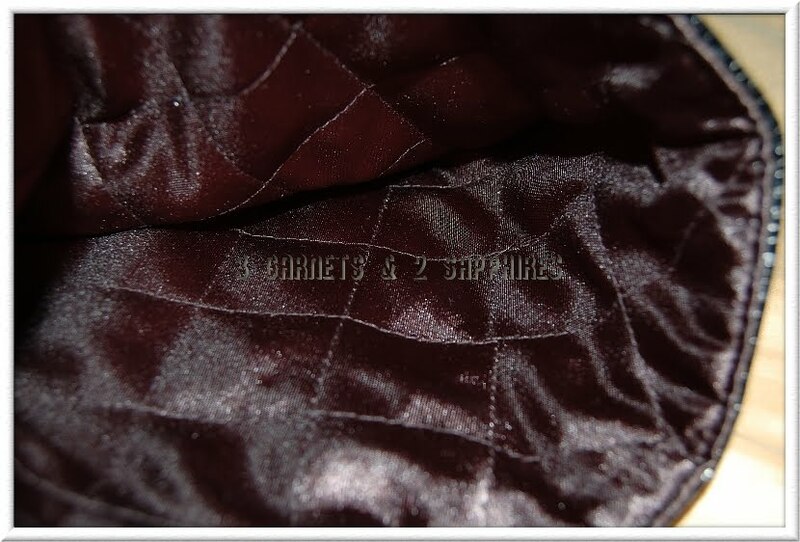 Even though this sleeve is quilted, it is not made to offer impact resistance. For this reason, I would not recommend it for travel use. I think this sleeve would be perfect for everyday use, such as carrying your netbook inside a purse, tote bag, or backpack. I would be nervous carrying my netbook in this sleeve by hand because there is so much extra room. I would be afraid my computer would somehow slip out. I wonder if Coverbee will be able to figure out how to add a type of closure without negatively impacting the sleek look of these sleeves? All the Coverbee sleeves for laptops, netbooks, MacBooks, and iPhones are designed and made in Holland. Coverbee offers Free Shipping worldwide on any size order. To see the full selection of sleeves and to learn more about this company, visit Coverbee.com, Coverbee on Twitter, and Coverbee on Facebook. 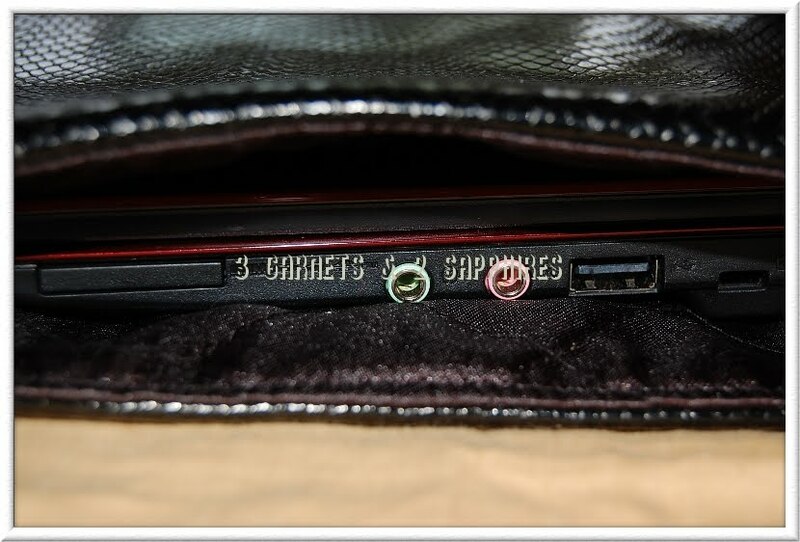 Thank you to Coverbee for sending us a sample netbook sleeve free of charge to base this review upon and for providing a second sleeve for our contest prize. One lucky reader will receive one Coverbee sleeve (winner's choice of style and size). This giveaway is open to WORLDWIDE entries. You do not need to be a blogger to enter, but you must have a valid email address and be age 18 years or older. If you enter anonymously and do not include a valid email address in your comment entries, I will not be able to notify you should you win this random drawing. 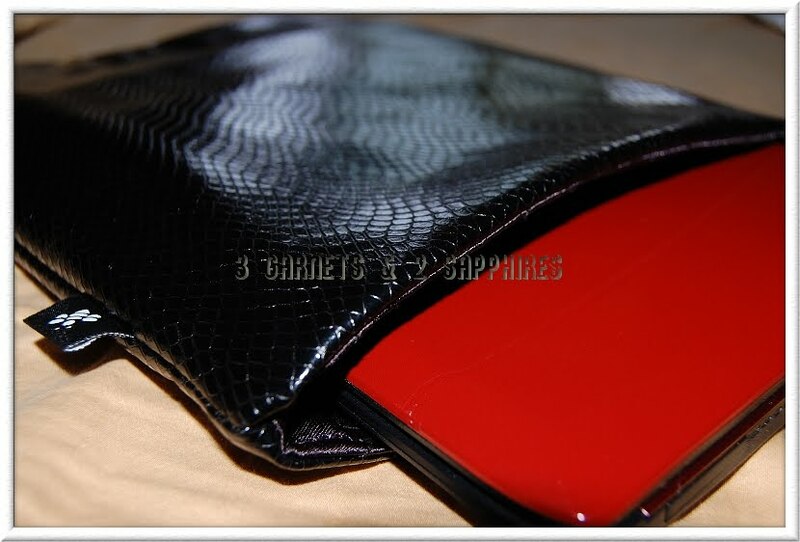 Browse the selection of laptop, netbook, MacBook, and iPhone sleeves available on Coverbee.com . Then leave a comment telling me which sleeve (style and size) you would choose if you won this contest. You MUST do this to be eligible to win this contest. 3) For 10 extra entries, blog about this contest linking back to this post AND Coverbee.com . Then come back here and leave TEN separate comments with the link to your blog post. 5) For 1 extra entry each, follow Coverbee on Twitter and/or "like" Coverbee on Facebook. Then leave a separate comment with the link to your Twitter or Facebook profile for each entry you complete.